I got on my bike in January of 2012. I had mounted it on the wind-trainer and I was planning to add ten or 15 minutes a morning to my exercise regimen with the idea that I would be in better shape to ride outside once the weather improved here in the Northeast. I came down the stairs that first morning with my cycling shorts stretched over my girth and I climbed on to the bike. I discovered something. I was too fat to ride. At least I was too fat to ride a road bike. My belly got in the way. I was unable to pedal smoothly. I could barely pedal at all. To say that this depressed me is to understate the situation by half at least. I kept eating right and eating less. In March I was back on the bike. I rode 10 miles on my birthday. Then I went and walked a few miles at the track. Cycling became a bigger and bigger part of the exercise. I rode 50 miles on June 9, 2012. I injured my knee and as soon as it was fixed I got back on the bike. I rewarded myself for losing the weight with a new bike in October of 2012. Sometime this weekend it will happen. I will pass 2000 miles for the year. Two-Thousand miles is a bunch of miles but I know many riders who have done many more than that this year. I am only saying that I have ridden nearly 2000 miles. When I look back at January 2012 and the belly being in the way and I think about how I felt that day, how depressed it made me feel, and I think about where I am now it really becomes clear to me that I have done something. It is not an illusion. It is not over-statement, bragging, or hyperbole. It is real and it is unusual and I should be and I am proud of it. And I should also enjoy it more. I write about this because I have BIG plans for cycling this weekend if the weather cooperates. I can so clearly remember when the big plan was to ride ten miles. Now the big plan is to ride 130+ this weekend. Taking time to reflect on this Journey… Something I need to do more often. I mentioned earlier in the week that the results of my physical were great. The only concern, and it is minor, is my vitamin D level is low. The Doctor told me to take 1400 IU of vitamin D3 daily and so I started doing so on Tuesday. I have felt like hell ever since. Dry mouth, sore throat, head ache and fatigue. It appears that vitamin D3 and I do not get along very well. I figured this out with some internet research and WebMD and a couple of other reputable health sites confirmed that these are the side effects of vitamin D supplements. I will not be taking the supplements going forward from today. Turns out Salmon has huge amounts of vitamin D. Another excuse to eat lox! I am hopeful that I will feel better come morning and be up to the rides I have planned for the weekend. AS good night’s sleep has eluded me all week. Oh, insomnia is one of the side effects as well….. This will teach me. No more physicals for me! Kidding, just kidding….. Categories: bicycling, Cooking, Cycling, Emotional Well-being, Fruits and Vegetables, Vegetarian, Walking, weight loss | Tags: health, healthy-living | Permalink. I have tried Vit D supplements a couple of times as doctors I know recommend it but every time after a few days I felt awful. I seem to do better without it. I’m suppose to take vitamin D supplements as well. Not sure why my levels are low when I’m outside in the sun as much as I am. I’ve not noticed any side effects but I’m not very consistent with taking the pills. I’ve recently run out and I haven’t replaced them. I asked my new family doctor to have the blood lab check my vitamin D levels next time round. 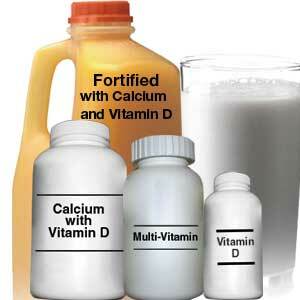 I read that vitamin D deficiency is over diagnosed. I don’t know but I do know the pills made me sick. I also found out salmon is high in vitamin D. WORKS FOR ME! !